Manual hoists are available in two general styles: Hand chain hoists that primarily attach to a beam for vertical lifting using the power of the worker for operation, and lever tools that are used effectively for pulling, lifting and positioning. 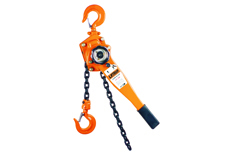 The hand chain hoist incorporates a rotating hand chain guide that allows it to be used in a variety of ways, similar to a lever tool. 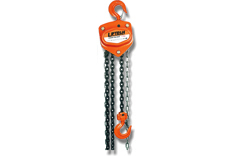 Liftech equipment is a leading manual chain hoist manufacturer.